My costume this year was inspired by Henri Matisse's Femme au chapeau (Woman with a Hat), 1905, at the San Francisco Museum of Modern Art. I've always been fascinated by this painting for its riotous colors, and it was actually one of the first artworks to be classified as "Fauvist". 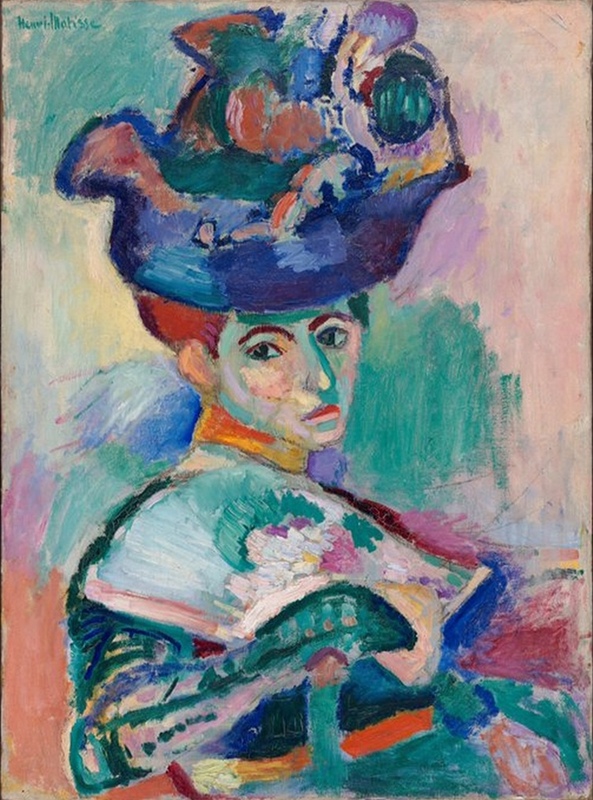 It is a portrait of Matisse's wife, Amélie, who was a hat-maker. What a fun challenge to recreate the gorgeous topper depicted in this painting! I used hand-painted paper, which I cramped and attached to a painted hat. I painted the blouse as well, and the backdrop. My friend Kathy helped me with the makeup and took the photos. It was so much fun to bring one of my favorite paintings to life! 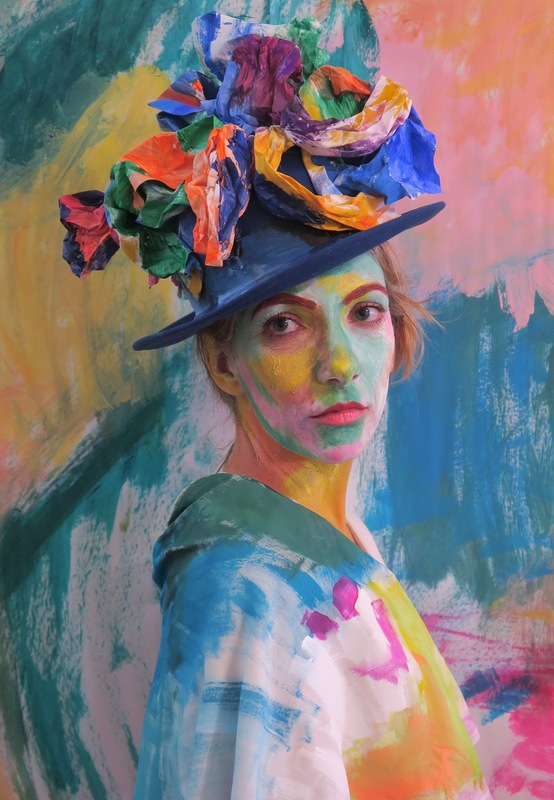 Have you worn an art-inspired Halloween costume? I'd love to see it!